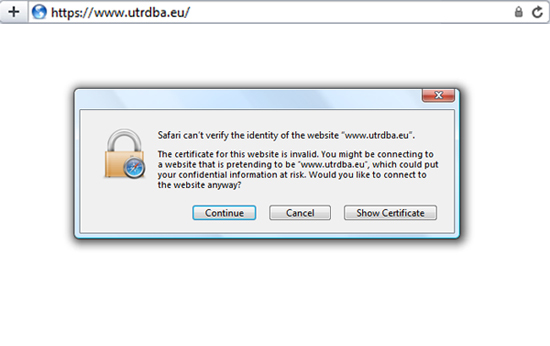 SSL certificates | Utrdba d.o.o. EV SSL certificate, which is issued after verification of the organization in accordance with the highest standards. 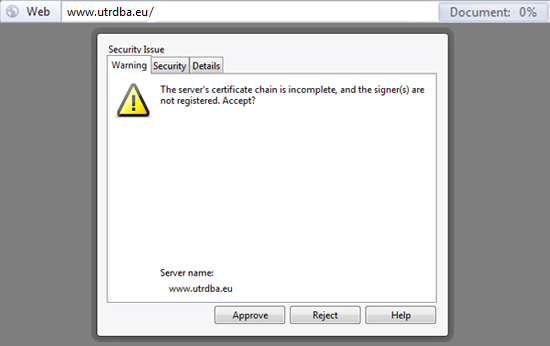 Using a self-signed certificate is only acceptable for intranet use and for dvelepoment and testing, where the user is already familiar with website and trusts it. We welcome you to contact us and enquire about SSL certificate solutions for your website.